Elbow Connectors 24 kV - 250, 400 & 630 amps Shielded Connectors are molded using high quality peroxide-cured EPDM insulation. It is used to terminate high quality voltage underground cable to switchgear, RMU and 250, 400 & 630 amps junctions equipped with deadbreak bushing. 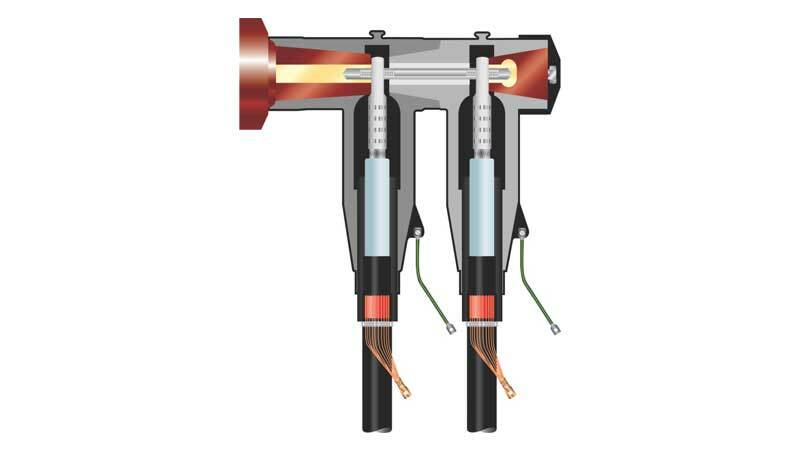 Shielded Fore-Connectors are designed for usage on solid dielectric cable (XLPE or EPR). In order to provide more cable branch circuits, the shielded fore connectors can be connected with the 24 kV - 250, 400 & 630 Shielded type Sub-Connector.